Classic and refined, the beauty of this setting will perfectly complement the center diamond or gemstone of your choice. The simple bezel mounting offers stability to the entire periphery of your stone, while the clean lines emphasize its allure. 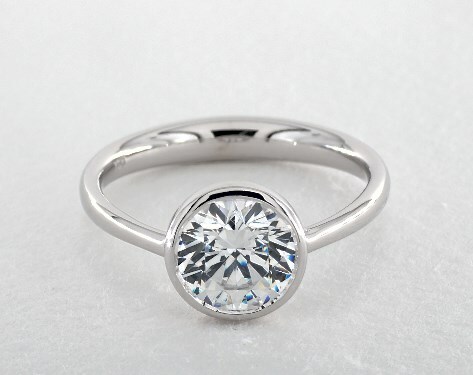 Can be paired with a simple pave wedding band to add a touch of sparkle.